The name "Audio Research" will be familiar to many readers of this magazine. 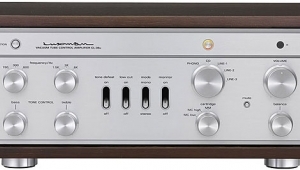 It belongs on the list of that select group of manufacturers who continue to offer the audiophile and music lover equipment which enables him or her to truly enjoy the muse. With equipment of this caliber, one is no longer caught up in the anxiety-inducing process of listening to (evaluating) the equipment used in the presentation of the music. Instead, the listener can focus attention on the much more important message uncovered in the music via the performance and conveyed through the network of transducers, cables, tubes or FETs, more cables, more tubes or FETs, and more transducers, to the brain. If this process has been successful and our sensitivities heightened, our souls will be touched. If not, not. 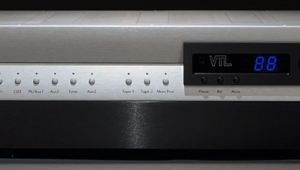 In my experience, the electronics offered by Conrad-Johnson, Mark Levinson, Quicksilver, and Audio Research have achieved this most perfect synthesis of technology in the service of music. 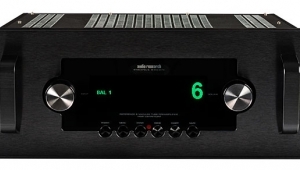 Each of these companies offers products which force a reviewer to search for new words to help communicate to the reader a quality of sound reproduction which transcends excellence. 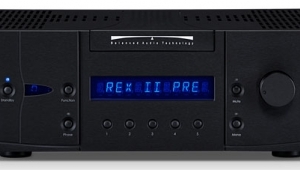 The SP14 preamp is such a product. 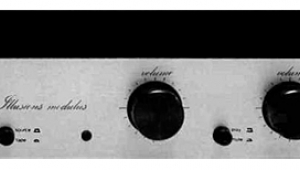 The last Audio Research product to grace the pages of Stereophile was the original SP9 preamp, which got a rather lukewarm review at the hands of both J. Gordon Holt and John Atkinson (Vol.10 No.8). That was 2½ years ago! 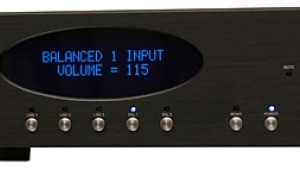 A follow-up to that review is in progress; only the flagship SP15 preamp now remains a stranger to Santa Fe. The SP14, being a single-chassis unit, shares an outward appearance with the SP9 Mk.II, albeit with half again as many knobs and twice the number of toggle switches. Retailing for $1200 more than the SP9 Mk.II and just half of the SP15's $5995, it occupies an increasingly volatile market niche, with strong competition from both this country and abroad. 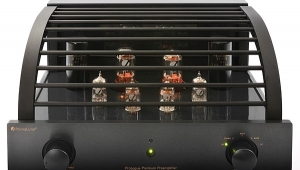 The SP14 is a hybrid design, and follows in the tradition of the SP9 Mk.II in using one 6DJ8 dual-triode vacuum tube in an intermediate gain stage of the phono section. The line section is all-FET, using a circuit similar to that in the SP15. One characteristic which distinguishes the SP14 from the SP9 Mk.II is the degree of control flexibility offered. 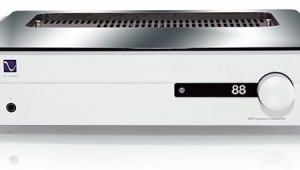 For starters, it has separate gain and attenuation knobs for optimization of the signal gain setting. Separate input and record output switching offers the listener the opportunity to listen to one source while recording from another. 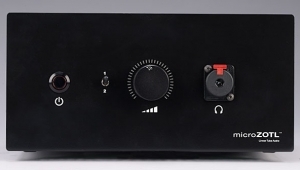 Perhaps most important, the SP14 incorporates a bypass switch which directly connects the attenuation knob and gain control to the source selected by the input selector. All other controls and switches are removed from the active signal path when this switch is thrown. 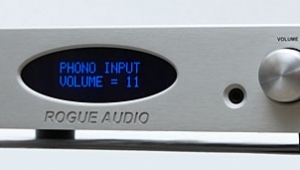 Note that, unlike other competing designs, this configuration applies to the line inputs as well as to the phono stage. There are two separate sets of outputs (for ease in bi-wiring) and three convenience AC outlets. Six knobs grace the front panel. From the left is Gain, a stepped control which normally should be used around the 12 o'clock position, the main volume level being set by the Attenuation knob next to it. 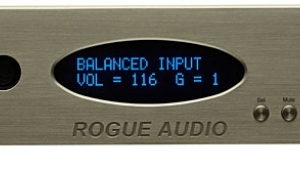 This provides 6dB of attenuation in each of four increments (6, 12, 18, and 24dB). Using these controls makes easy the optimization of input levels relative to output. The next knob is the Balance control, also stepped. 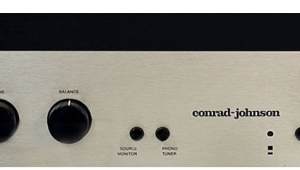 Beside it is a control which I feel essential to any high-end or other preampMode. In addition to stereo, this control provides the all-important mono position, which will eliminate the pseudo-stereo effect in early-'60s reissues of recordings originally recorded monaurally. This control will also reverse the stereo channels and send either left- or right-channel information to either channel as selected. Next is the Record Out selector, which shares a menu with the Input selector. 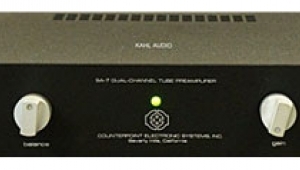 Input source selection is provided for Phono, CD, Tuner, Video (!? ), and Spare. With separate inputs and outputs for two tape recorders, I feel the SP14 will offer all but the most obsessed enthusiast more than enough source selections. Independent control of these functions is a handy feature, though purists may look at it scornfully. Below the control knobs are two sets of sturdy toggle switches. To the left of the green LED are Power, Outlets, Bypass, and Mute. The Outlets switch controls power to the three grounded receptacles on the rear panel. Two of these are switched, the third unswitched. I did not use these convenience features during the course of my audition, though, preferring a separate, computer-grade protection device such as Data Shield's Model S85. 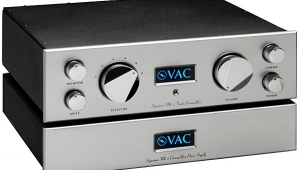 The Mute switch is not only handy when listening must be interrupted, but helps safeguard the power amp and speakers from unexpected transient signal surges. I activated it each time I changed signal sources. In Mute position the green LED glows faintly, returning to full brightness when Mute is disengaged. 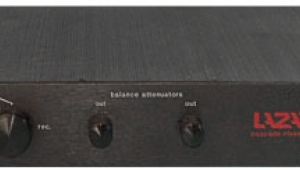 The Bypass switch, as mentioned earlier, provides essentially a "straight wire with gain" conduit for either line-level sources or phono. All of my serious listening was done with the Bypass switch on. The other four toggles deal with taping. Bidirectional dubbing can be accomplished with ease, even while listening to another program source. Source/tape monitoring is done with the flick of a switch. The only features missing on the SP14 (found on the SP15) are absolute phase, phono high-pass filter, and front-panel impedance selection for cartridges. This last can be accomplished on the SP14, though, with a little soldering. I asked Audio Research about this somewhat awkward arrangement for optimizing cartridge loading; they feel that in a product at this price point, a hard-wired connection is the best compromise, in terms of mechanical stability and signal quality, between various pin-socket arrangements and the expense of a precision, gold-contact switch (as is found on the SP15). Unless you're a compulsive cartridge swapper, I feel this inconvenience to be minor. My sample was loaded for 100 ohms for my AudioQuest 404i-L cartridge.